If your cat is behaving badly, animal behaviorists can help with various problems, such as excessive vocalization, self-mutilation, and litter box problems. I was aware of Dr. Nicholas Dodman from reading some literature but then saw him on a PBS television station in 2011 explaining some of his work in the field of animal behavior. As a matter of fact he founded the Animal Behavior Clinic at Tufts University School of Medicine in 1986. He pioneered a number of methods that cat behaviorists follow today. He has stated that at least half of what a behaviorist does is educate the client about the behavior and teach the owner why the cat is behaving that way, so the owner can understand and deal with the problem. By looking at an animal’s exercise routine, diet, and its outlets for natural behaviors enables a behaviorist to develop a treatment program, which may include medication. The kind of program and the amount of time until results are seen varies according to the nature and severity of the problem. 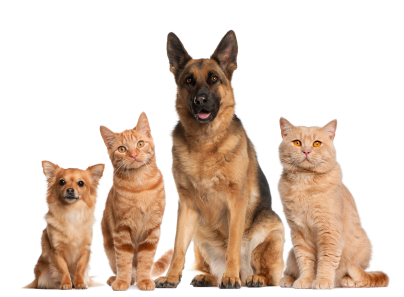 Animal behaviorists can become titled in two ways… A veterinarian can become board-certified by the American College of Veterinary Behavior, which requires not only a veterinary degree but two additional years of coursework along with testing and a residency with a board-certified veterinarian. There are under 50 ACVB certified vets in the US right now. The other way is through the Animal Behavior Society of the United States. This certification (mainly undergone by people with PHDs) is for people who aren’t veterinarians. ABS has two levels of certification. Associate Certified Applied Animal Behaviorist (ACAAB) which requires a Master’s degree in an appropriate field plus several years of practical internship experience and proof of professional activity in instruction or research. A full Certified Applied Animal Behaviorist (CAAB) is similar but requires a PHD in an appropriate field such as Geology or Psychology. Only about 45 behaviorists exist in the USA, so finding one is not as simple as looking in the phone book. Many of the larger veterinary schools have behaviorists on staff who offer expert advice directly to owners or their veterinarians. If neither of these types of behaviorists are located near you then look for someone certified through the International Association of Animal Behavior Consultants. CCBC would be the certification for a cat behaviorist. To earn this credential the consultants must demonstrate a substantial amount of hands-on practice plus have proof of learning in five core competencies. However, before seeking help your pet should be given a complete physical exam to make sure no underlying health problems are triggering the behavior. For example, simply treating arthritis which can make a pet irritable and aggressive…can eliminate the behavior. If your cat is given a clean bill of health, then first discuss the behavioral problem with your regular veterinarian. If the vet isn’t comfortable giving advice then you can call a university such as Texas A & M for help. The Tufts-Cummings Behavior Clinic offers the PETFAX program, where owners throughout the country can get advice on how to correct problems in their pets. After filling out a questionnaire, owners receive a written report that includes a diagnosis and a personalized treatment plan. The fee is $250 and the client has the opportunity to speak directly with the animal behaviorists or communicate by email during the 3 months following the consultation. For more information you can phone 508-887-4640. Communication is extremely important. If you can’t understand what the animal behaviorists are telling you in the initial conversations, you won’t be able to understand the cause of your pet’s problem and the corrections needed. A good behaviorist will also ask you questions to determine if they can help, so be prepared. They’ll want to know about you, your pet, its health history, the behavioral problem and what steps you’ve already taken to solve it.